Every year at it’s mid-Winter Conference the American Library Association presents the Caldecott Award “to the artist of the most distinguished American picturebook for children.” In addition to the Caldecott Medal award, several Honor awards are presented to the runner-ups in the category. The awards were announced this past Monday, Jan. 26, 2014. The day of the announcement the first edition Caldecott Medal and Honor books become instantly collectible, and copies are quickly bought up by both collectors and booksellers, the latter buying them for resale. Good luck finding your first edition copies! 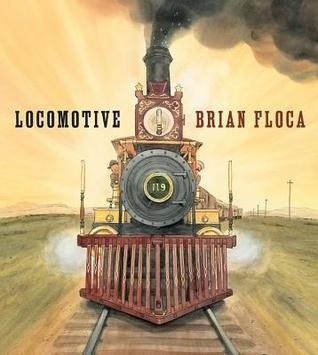 The 2014 Caldecott Medal winner is Locomotive illustrated by Brian Floca (Atheneum Books). “All aboard! Accompany a family on an unforgettable weeklong train trip from Omaha to Sacramento in 1869. Brian Floca’s dramatic watercolor, ink, acrylic and gouache illustrations incorporate meticulously-researched portraits of the train, the travelers and the crew as they traverse the American landscape on the new transcontinental railroad. Floca also won a Silbert Honor award for Locomotive. The Silbert Award is given annually by the ALA to the author and illustrator of the most distinguished informational book published in the US. In 2011 Floca won a two Silbert Honor awards, for his illustrations in Ballet For Martha, and for his writing and illustrations for Moonshot. I acquired a couple of first edition copies of Locomotive at a neighborhood independent bookstore. 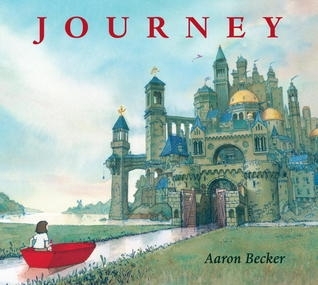 Journey, written and illustrated by Aaron Becker published by Candlewick Press. This is Becker’s first children’s book. I considered this wordless picturebook a front runner for the Caldecott, so purchased a couple of first edition copies last winter. Journey was in it’s seventh printing at the time the award was announced, so expect first editions to be scarcer than the Medal winner, and potentially pricey. 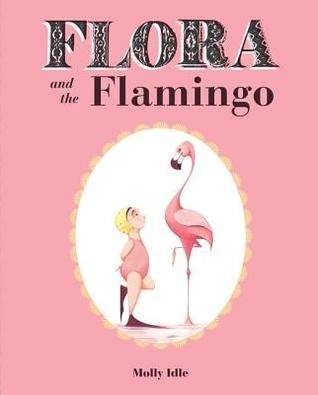 Flora And Flamingo, written and illustrated by Molly Idle and published by Chronicle Books. This is a fantastic book! I hadn’t heard of Molly Idle until this award. Her illustrations are wonderful. This is an interactive flap book, and I was lucky enough to find a couple of first editions in a Barnes & Noble. 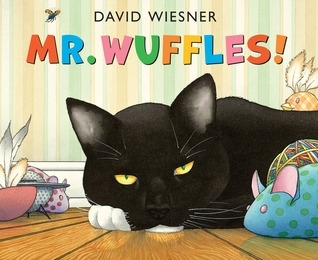 Mr. Wuffles, illustrated and written by David Wiesner and published by Clarion Books. Wiesner is one of the most successful children’s book illustrators, and has previously won three Caldecott Medal awards, in 1992 for Tuesday, in 2002 for The Three Pigs and in 2007 for Flotsam. Wiesner has also won two Caldecott Honor awards, in 1989 for Free Fall and in 2000 for Sector 7. Every year I buy one first edition copy of each David Wiesner book, and acquired a copy of Mr. Wuffles at Barnes & Noble. Members of the 2014 Caldecott Medal Committee are Chair Marion Hanes Rutsch, Chevy Chase, Md. ; Deborah A. Burns, Chicago Public Library; Dr. Cora Phelps Dunkley, University of South Florida School of Information, Tampa, Fla.; Carol A. Edwards, Denver Public Library; Natasha J. Forrester, Multnomah County Library District, Portland, Ore.; Judy Freeman, Children’s Literature Consultant, Highland Park, N.J.; Rachel Fryd, Free Library of Philadelphia; Carl A. Harvey, II, North Elementary School, Noblesville, Ind. ; Travis Jonker, Wayland Union Schools, Dorr, Mich.; Carla J. Kozak, San Francisco Public Library; Dennis J. LeLoup, Avon (Ind.) Intermediate Schools; Miriam Medow, Oakland (Calif.) Public Library; Leslie M. Molnar, Cleveland; Kathy G. Short, University of Arizona, Tucson; and Blanche Woolls, Glendale, Calif.